Beginners to skiing and other snow sports are another group who are more at risk from sustaining injuries whilst out on the slopes. Some of the reasons for this are associated with similar factors as to why children represent a particular risk group, such as a lack of experience, but there are other factors as well. Here are some of the more common factors. When starting out, it can take a little time to figure out the exact specifics of the type of equipment you rent out in order to make sure that it’s suitable for you. When renting out equipment, you need to factor in your height, weight and level of ability. A good hire shop should be prepared to go over all of this thoroughly with you in order to ensure you rent the correct equipment. Even things like helmets and boots need to fit properly. If they don’t, you are increasing your risk of injury. Ski bindings need to be properly adjusted by a professional at the beginning of the ski season and you should learn how to do ‘self-test’ bindings before you go out skiing each day. Snow sports of all kinds place demands on you physically and, of course, beginners come from all ages. Therefore, it’s important that you maintain a good general level of fitness year round. The older you are, the less supple and flexible your joints and muscles become. So, it’s important that you take your overall fitness levels seriously even outside of the snow sports season. This will help you maintain and improve flexibility, endurance and all-round strength. Also, begin to increase the intensity of your fitness programme a good month or two before you actually go on your snow sports holiday. As with any sport, if you don’t look after yourself and prepare correctly, you’re more likely to suffer with injuries such as ruptured tendons and have more knee problems when out participating in snow sports far more than through any collision or fall you might encounter as a beginner. One of the problems with beginners to snow sports when it comes to injuries is that once you have started to grasp the basics, it’s very tempting to test yourself further. Unfortunately, many people ‘run before they can walk’ and, out on the slopes, weather and terrain conditions can sometimes be deceptive. This is when many beginners suffer injuries. Firstly, in poor visibility, take extreme care when out on the slopes. Reducing your speed will often help to avoid a collision. Watch out for icy slopes where it’s harder to control your direction and speed. And do not overestimate your ability. Choosing difficult ski runs above your level of ability and not compensating for poor conditions are two of the most common factors in beginners suffering injuries. It’s very common for a snow sports beginner to feel as though they’re missing out on a holiday by remaining on the nursery slopes when the rest of the party are all out together on more advanced runs. However, listen to your instructor and pay attention to their advice. Remember that your friends, too, all had to start off as beginners once. In thinking that you can compete with more advanced snow sports enthusiasts, you’re setting yourself up for a fall at best and, more seriously, you’re putting yourself at serious risk of suffering an injury. As an adult who’s also a beginner to snow sports, it’s important you adopt a healthy attitude towards the après-ski. The evening entertainment and partying often plays as much a role in your enjoyment of a snow sports holiday as the sport itself. However, hangovers have no place for a beginner on the slopes. Your sport will often mean that you’re travelling at great speed and, if you’re not in the best of shape mentally or physically after a night on the ‘tiles’, both your judgement and your reaction times in the event of encountering danger are going to suffer. 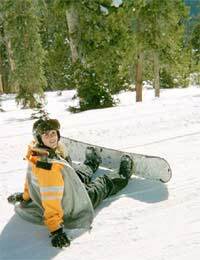 Therefore, whilst no one is saying that you shouldn’t let your hair down on a snow sports holiday occasionally, think very carefully about participating on the slopes the next day if you’re feeling rough and, if in doubt – sit it out. Likewise, during the day, do not drink and ski or snowboard – the two do not mix. No snow sports enthusiast can fully eliminate the possibility of suffering an injury. However, by following the above advice, it will help you to stay safer and minimise the risks.